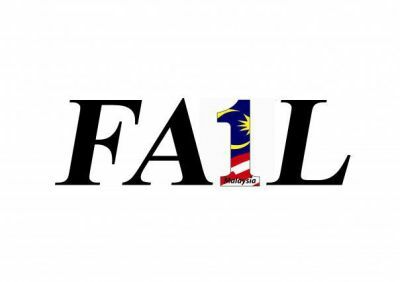 malaysia IS already a failed state – welcome! our PM said that malaysia must transform or it risked becoming a failed state. yeah right… transform. when umno is transform from being federal government to opposition! anyway our dear PM is dreaming. malaysia is already a failed state. the signs are all out there. so said many many people like RPK, lim kit siang… and former sabah CM, harris salleh is kinder, to say ‘malaysia is heading for a failed state‘ (instead of saying it is one now). – When racism and discrimination is not only rampant but state sanctioned as well, that is a mark of a failed state. And this is happening in Malaysia. – When abuse of power and corruption are the order of the day, that is a mark of a failed state. And this is happening in Malaysia. – When the police force is violent and plays the role of judge, jury and executioner, and when extrajudicial killings are almost a daily occurrence, that is a mark of a failed state. And this is happening in Malaysia. – When free speech is stifled and the right of association and peaceful assembly are curtailed, that is a mark of a failed state. And this is happening in Malaysia. – When the judiciary is not independent and judges do the bidding of the powers-that-be and are themselves violators of the law, that is a mark of a failed state. And this is happening in Malaysia. – When elections are rigged and one-sided and when there are no real free and fair elections, that is a mark of a failed state. And this is happening in Malaysia. – When there is no separation of powers and power is concentrated in the hands of one man, the Executive, that is a mark of a failed state. And this is happening in Malaysia. you see the signs? i’m sure you can add more. then when i read harris salleh describing failed states as ‘club of doom’, it reminds me of a book i bought three years ago entitled ‘malaysia and the club of doom’. the book talks about the collapse of the islamic countries… and of course malaysia is one of them. ain’t that true! i like this sentence “they do not realize that by endlessly blaming these conspiracies, they are openly acknowledging that they are gullible simpletons.”. do you see many gullible simpletons in perkasa?? lol. go and buy the book to read! uh oh… if not mistaken, the book is banned i think. when it was launched, it was our ex PM who launched the book. well i would have lend you the book… if i still have it. i had lent it to someone and i never see the return of it. this is what i hate – whenever i lent books to friends, the books never returned (like my ‘may 13’ book by prof kua – it had gone missing too). well as i had stated before, despite malaysia looks like it is going to the dogs, i still love my own country, my ‘tanah tumpah darahku’. 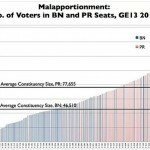 i still have hope that one day malaysia will change… no no, i mean i still hope one day umno will fall at the coming GE13. hope is important. without hope, i’ll be dead or gone cuckoo!! khir toyo, you are a racist! 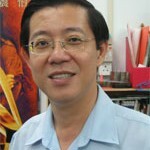 police gonna put penang’s CM in jail? One Response to "malaysia IS already a failed state"